If you are looking for a great place to buy swimwear, I highly recommend Hapari. Not only do they have the latest styles and colors, they have swimwear in many sizes. I chose the Mango Mudd Sport Tankini Top. It it is beautiful brown and mango orange colored floral design. The Plus Size Mango Mudd Sport Tankini is a brown and deep mango orange Hawaiian print that is accented with earthy brown trim. The swimsuit has a built-in shelf bra and soft pads for extra bust support. This tankini goes great with any of our classic solid brown bottoms. The straps will tie in three different ways so that you can create the best fit for you! I chose the brown cover up board shorts to go with my Mango Mudd Sport Tankini Top. It is a great match. I love that I was able as a plus sized woman to find such cute and stylish swimwear. It has been ages since I could find swimwear that I would actually wear out to a day on the beach! I must say, Hapari sizes are spot on. They are true to size and very well made. Make sure to hand wash and line dry to keep your swimwear looking great all year long. With so many styles and sizes available, I know you can can the right swimwear for you! Now, here is the best part! One of my lucky readers will win a $100 gift code to Hapari! Enter via the Rafflecopter today and don't forget to come back and get those daily tweets in for extra entries. *Reviewz & Newz is not responsible for gift code. This will be emailed to you from Hapar. I was given a gift code from Hapari in order to pick out swimwear for this review. All opinions are 100% my own. The denim tile eyelet one piece plus more since it's on sale! I really need a new suit for mommy and me swim lessons coming up soon. I'd get the Pink Desert Wave V-Neck Tankini. Denim Push Up Bikini Top, with Denim Cali Bikini Bottom. I would choose the ASPBERRY ICE PLUS SIZE SPORT TANKINI TOP. I love the colors and the style. I would choose the Leilani v-neck tank and the black boy short bottoms! I like the Black Plus Size V-Neck Tankini Top. I love their tankinis and their swim skirts! Super cute. I like the Denim Dancing Leaves V-Neck Tankini Top with blue bottoms the best! Very pretty swimsuit. I love all of the tankinis! And I love how every thing mixes and matches. I live in swim shorts. It is definitely a lot more comfortable for me. I love the turquoise board shorts! I will get the Zebra V-Neck Tankini Top with brown boy shorts. I am in need of a new swimsuit. I would probably get a tankini. Love the Black Scoop Onepiece! I would pick the blue tummy tuck shorts and a desert wave tank in I. I've looked at all the local stores for swim shorts in bigger sizes and they never have them. 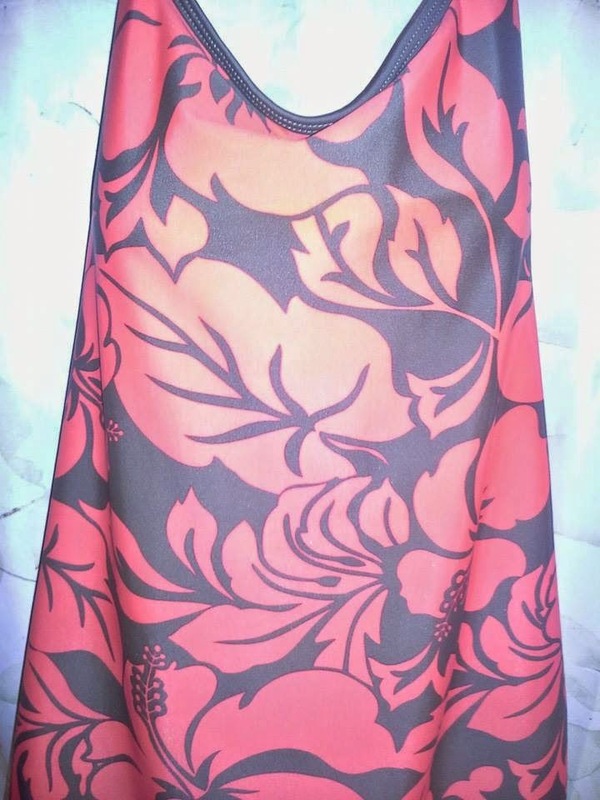 Red Dancing Leaves Classic Bandeau Tankini Top with black bottoms, yes black!